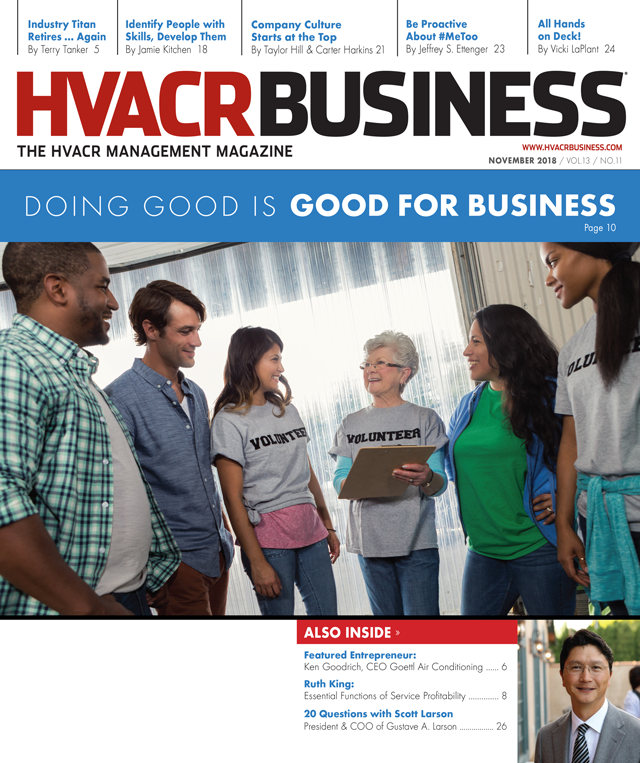 When your company gives back to the community in a charitable way, it’s a win-win-win situation for your customers, your employees and your business. Ken Goodrich got his start in this industry the same way as many HVACR contractors: holding a flashlight for his father as he worked on air conditioners. We sat down with Scott Larson, president and COO of Gustave A. Larson Company, a wholesale HVACR equipment, parts and supplies distributor with more than 50 locations in the Midwest, Plains and Mountain states. Larson, who is the third generation to lead his family business, discussed future industry trends, contractor education and what it means to be successful.